One of my goals for 2016 was to read more books. I've gotten into a bad habit of coming home from work, slumping on the couch, turning on the TV and then climbing into bed only to play on my phone for another few hours before counting sheep. This is certainly no way to live, so I recently decided that I am going to attempt to read 1 book per month and then write a review about it here on the blog. Think I can do it?! With my recent vacation to Jamaica, I had time to relax and finish up my first book for the month of January! 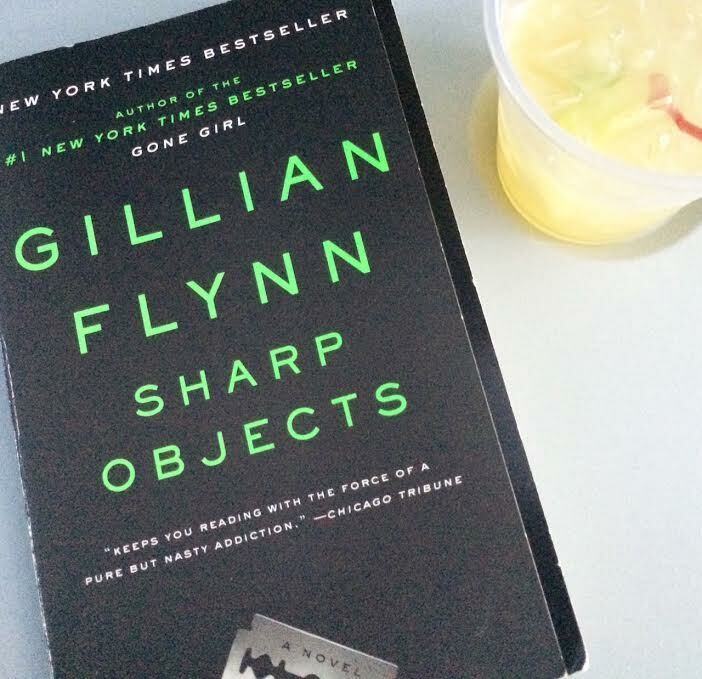 Since I loved Gillian Flynn's book (& movie) Gone Girl so much, I decided to give one of her other books-"Sharp Objects"a try. "Fresh from a brief stay at a psych hospital, reporter Camille Preaker faces a troubling assignment: she must return to her tiny hometown to cover the murders of two preteen girls. For years, Camille has hardly spoken to her neurotic, hypochondriac mother or to the half-sister she barely knows: a beautiful thirteen-year-old with an eerie grip on the town. Now, installed in her old bedroom in her family's Victorian mansion, Camille finds herself identifying with the young victims—a bit too strongly. Dogged by her own demons, she must unravel the psychological puzzle of her own past if she wants to get the story—and survive this homecoming" (via). This book was definitely an easy read, but kept my interest from beginning to end. Towards the end, I thought that I had figured out "who did it" but at the very end of the book there is a surprising twist that will leave your head spinning. Flynn is pure genius! Have you read any of Gillian Flynn's books!? I think I am going to read her other book "Dark Places" soon, but for now, I have started reading "The Good Neighbor" by A.J. Banner and I can't put it down. Her books keep you hooked! She's incredible! I know!! Love her...did you read her other book Dark Places? That's such an awesome goal for this year, to read more! If you loved Sharp Objects and Gone Girl, and I definitely think that you'll like Dark Places. Gillian Flynn is so great and creating these crazy circumstances that leaves you guessing up until the very end. I know, I really need to start reading more! Any recommendations? I'll definitely read Dark Places soon!